Anything that can move and carry people around, be it powered by an engine, the wind, or by pedalling it yourself. 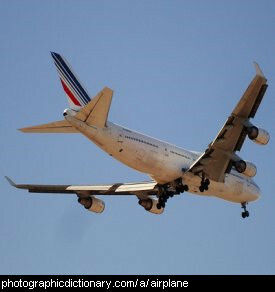 An airplane, or aeroplane, is a vehicle powered by an engine that flies through the air. A plane without engines is called a glider. Planes can be so small they only fit one or two people, right up to very big passenger planes that can carry hundreds of people and their luggage. 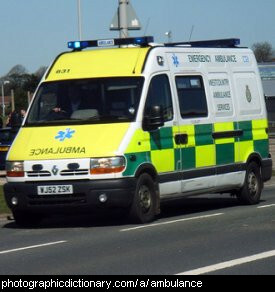 An ambulance is a type of van that is used to take sick or injured people to a hospital or doctor's surgery. Ambulances often have emergency equipment in them so ambulance officers can save people's lives when they arrive instead of just driving them to the hospital. Ambulances are also used to take people from one hospital to another. The word 'ambulance' is written backwards on the front of an ambulance so people in cars can read the writing in their rear view mirrors. 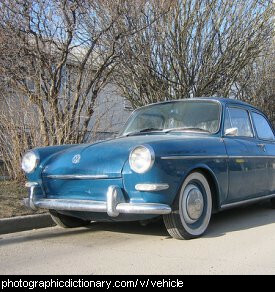 An automobile is simply an old-fashioned or formal name for a car. 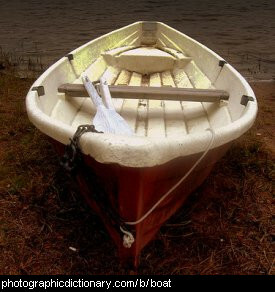 A barge is a low boat with a flat bottom that was originally designed to move by being towed or pushed along. Barges were once propelled by pushing them along using a bargepole, or were pulled by a horse walking along the shore. 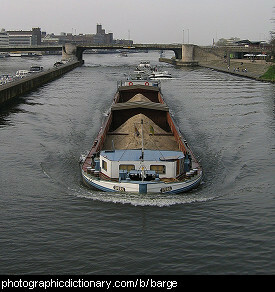 Modern barges are propelled by motors. 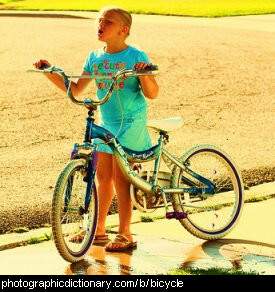 A bicycle is a two-wheeled vehicle. Bikes are normally powered by you pedalling. 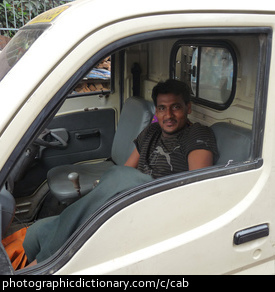 They can be hard for very young children to ride, so children often have tricycles instead. 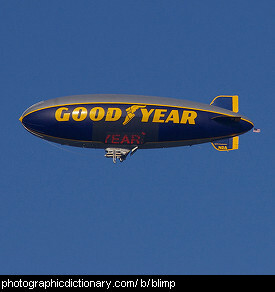 A blimp is very similar to a zeppelin, but a blimp does not have a supporting structure inside the big, bullet-shaped balloon that holds it up. Blimps have a compartment under them for people to ride in, and are moved forward by propellors. 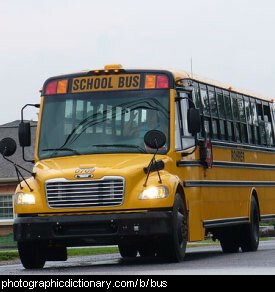 A bus is a large vehicle that is driven on roads. Buses are designed for carrying large numbers of people and their luggage. 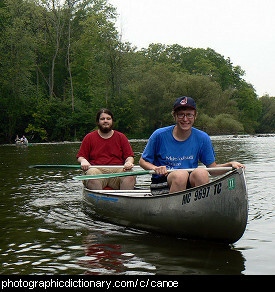 A canoe is a small, narrow boat that moves forward as you paddle, like the people in the picture.